France has been a center of education in Europe since the Middle Ages, and besides having some of the best universities on the continent even now, it also has some of the oldest institutions of higher education in the world. French university towns have a je ne sais quoi that makes them seem at the same time historic and great for partying. If you are looking for destinations in France that embody historical charm and a bustling nightlife, then here are some of the best university towns in France – check them out! This smallish, typically Provencal town is one of the locations of the best university in France, and although the university itself it not very old (it was founded in the 60’s), the town itself it one of the most delightful places in Provence. 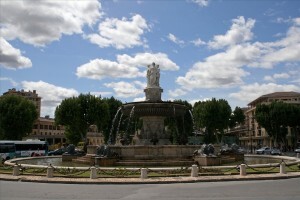 Aix is quiet, clean and pleasant, and also one of the riches cities in France. 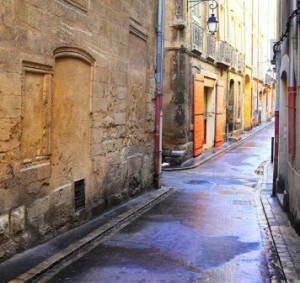 The city’s old town has winding narrow streets, 17th century buildings and paved plazas. Amiens is widely associated with famous science fiction writer Jules Verne, who lived out the last years of his life here. Amiens is the perfect size for a university town, and while it has several beautiful historic attractions, its main draws are its shopping centers and its nightlife. The Jules Verne Museum is very interesting, as well as the Hortillonages market gardens. The University of Picardie Jules Verne is located in Amiens. 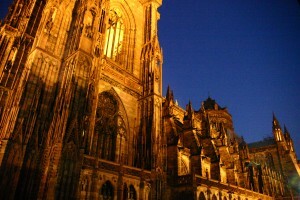 Clermont-Ferrand is one of the oldest cities in France, and home to the prestigious University of Auvergne. Clermont and Ferrand used to be distinct cities until the 20th century, and although now they form one urban area, the two district have distinct identities. There are lots of attractions in the city, and the surrounding area has some very good hiking and walking trails in nature. La Rochelle has played an important part in French history, and the small town has several sights and monuments to prove it. The town is home to the University of La Rochelle, part of the Academy of Poitiers, and the youngest university in France. Almost all of the town can be explored on foot, and in the case of the Old Port and Port de Minimes, walking is the best way to go. Strasbough has not one, but thee major universities, which have recently merged into one: the University of Strasbourg. Strasbourg’s amazing historical center, the Grande Île, is a Unesco World Heritage site, and even besides this attraction, there are many sights in the city.